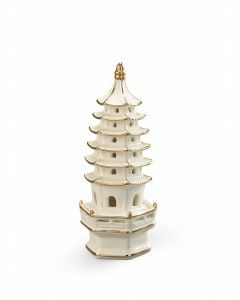 Add style to any space with these Asian porcelain pagodas! Perfect for a nightstand or coffee table. 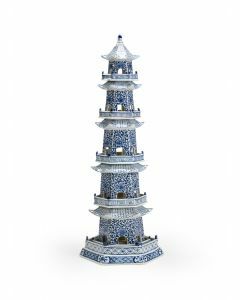 Featuring a classic matte white glaze, these pagodas are sold as a pair, 18" and 12" tall each. Click on images for greater detail.